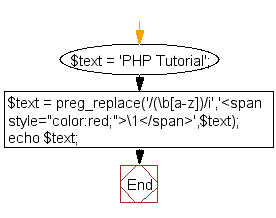 Write a PHP script, which changes the color of the first character of a word. Searches subject for matches to pattern and replaces them with replacement. The function returns an array if the subject parameter is an array, or a string otherwise. If matches are found, the new subject will be returned, otherwise subject will be returned unchanged or NULL if an error occurred. 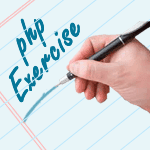 Previous: Write a PHP script, which will return the following components of the url 'https://www.w3resource.com/php-exercises/php-basic-exercises.php'. Next: Write a PHP script, to check whether the page is called from 'https' or 'http'.